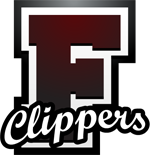 This Thursday Falmouth High School‘s Varsity football team will play Barnstable High School’s football team at home at 10 AM. Did you know the rivalry between Falmouth & Barnstable has been going on for a long time? Did you know the first game started in 1895. That’s a long rivalry. One of the longest in the state of Massachusetts. Plymouth Rock, a local insurance company, is getting involved in high school football around Massachusetts this year. They will give $300 to the S.A.D.D (Student Against Destructive Decisions) of the high school that wins. This means Falmouth High School Football team has an opportunity to win a rivalry game and win $300 for their school’s S.A.D.D. Barnstable has a solid football team, they even won a championship, but you never know what could happen on Turkey day. Come on out and support your local team at 10 AM on Thanksgiving. For more press on the game, check out Plymouth Rock. Read on to find out what they’re giving away! How is football a part of your Thanksgiving Day traditions? Like Plymouth Rock’s Facebook page and share your favorite Thanksgiving Day football game memory, from Barnstable vs. Falmouth or otherwise. You will be entered to win 4 tickets along with round-trip transportation to the New England Patriots vs. Indiana Colts game on December 4th at Gillette Stadium. Read the complete rules. Tell Plymouth Rock your story now and enter to win!